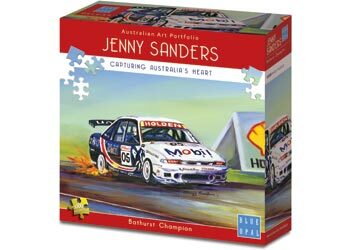 Jenny Sanders is an outgoing artist with a breath of fresh air from Australias famous Blue Mountains where she was born. 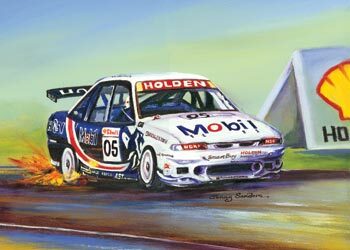 Jennys love affair with Holden cars goes back to her first car as a teenager - a two-toned FB sedan. 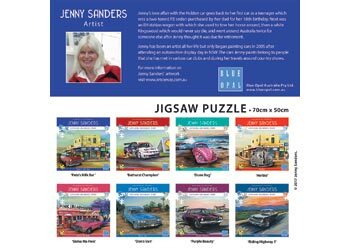 Jennys iconic Holden paintings have been available in Blue Opal puzzles continuously since 2001 and have received wide acclaim from Holden fans all over the country. 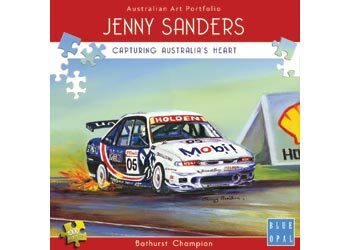 Holden Club members refer to Jenny as Holdens Own Artist. Blue Opal is proud to present these eight new iconic Sanders Holdens.